Over the centuries, people have carefully built terraces on the rugged, steep landscape right up to the cliffs that overlook the sea. If the terraced hillsides are not worked, they will quite literally slide into the sea. Part of its charm is the lack of visible corporate development. Paths, trains and boats connect the villages, and cars cannot reach them from the outside. The Cinque Terre area is a very popular tourist destination. Cars and motorbikes are not allowed in the villages, which are connected by frequent train connections (each village about five minutes apart, mostly through tunnels). The closest airports are at Pisa and Genova. Firenze is also a reasonable choice. Milan is about a 2 hour train ride to Genoa where one is able to change to the local train line. Regular local trains from Genova run with high frequency. 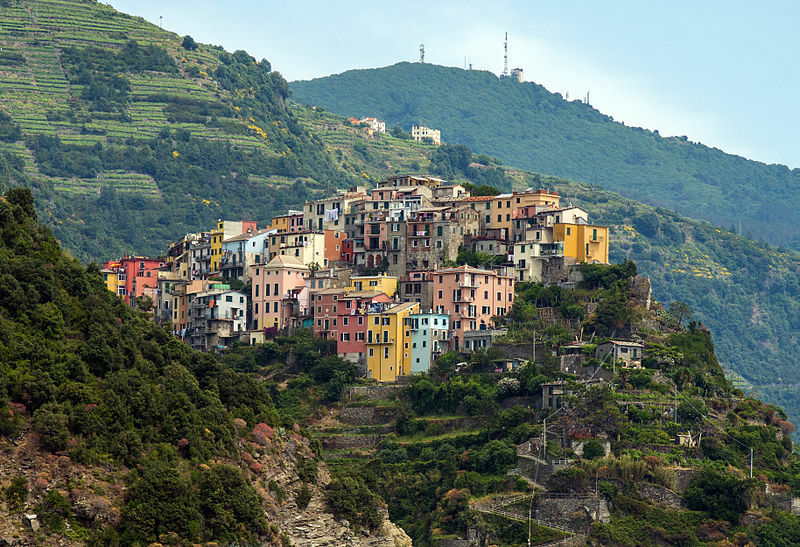 The Cinque Terre villages are well connected by rail and each of the villages has a train station, though some are only served by local trains. Regular local trains from Genova and La Spezia run with high frequency. When traveling from La Spezia, you can buy your passes for Cinque Terre in a tourism office in a hallway off of platform 1 at the La Spezia station. 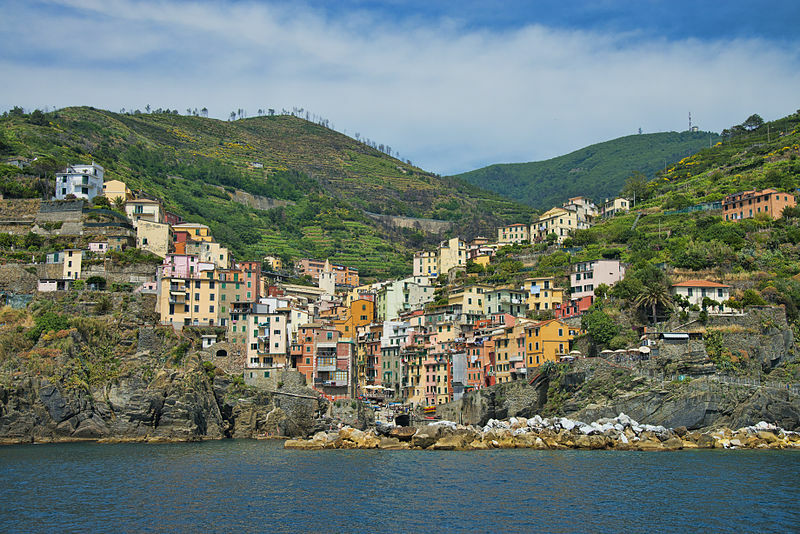 Most travelers are encouraged to leave their vehicle in La Spezia and take the train to the Cinque Terre. If approaching from La Spezia by car however, take the 'litoranea' road from La Spezia. 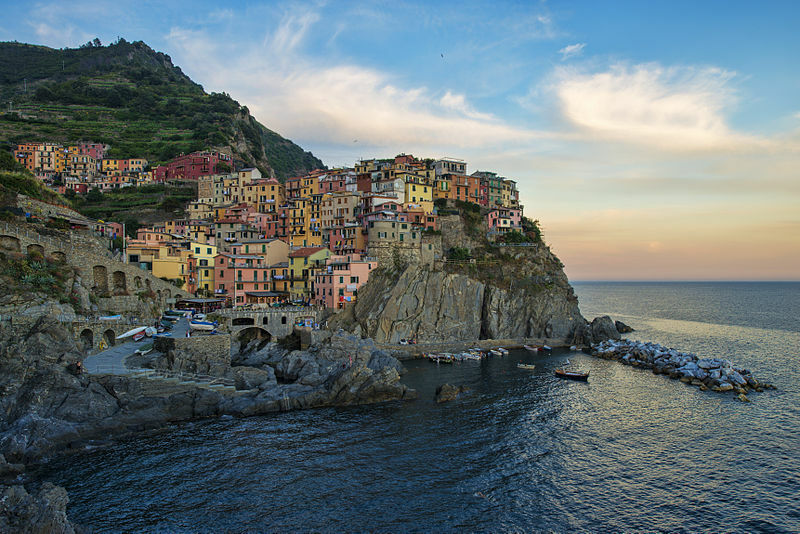 It takes approximately 20-30 minutes from La Spezia to drive to Riomaggiore or Manarola. If approaching via the A12, take the Levanto exit and folow the signs to the desired terre. 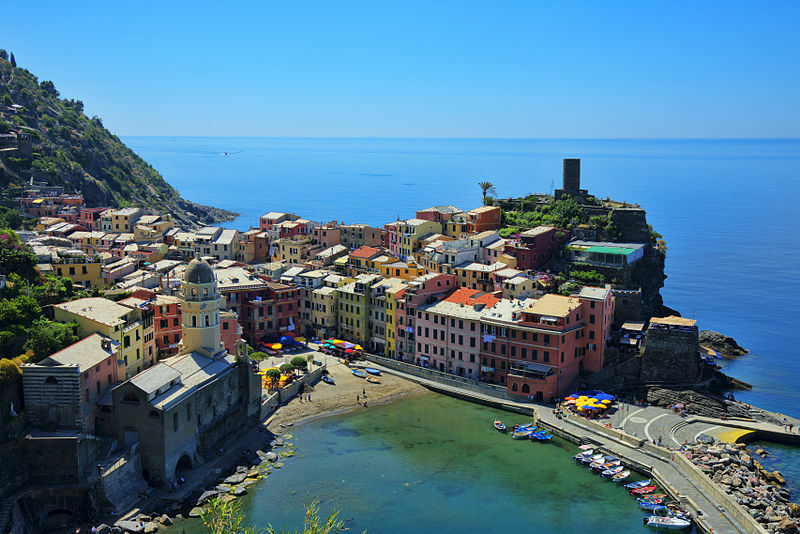 If covered parking is desired, garages are available in Riomaggiore and Monterosso de Mare. In Riomaggiore, the garage is located up the hill from the train station, operates from 8am to 9pm, and costs 23 Euros for 24hr. In Monterosso de Mare, the garage is found just above the main (but small) roundabout and is similarly priced. Approaching Monterrosso de Mare, it is also possible to parallel park along the main street that leads into the town (look for the blue lines) for a much lower price of about 5 Euros per day.